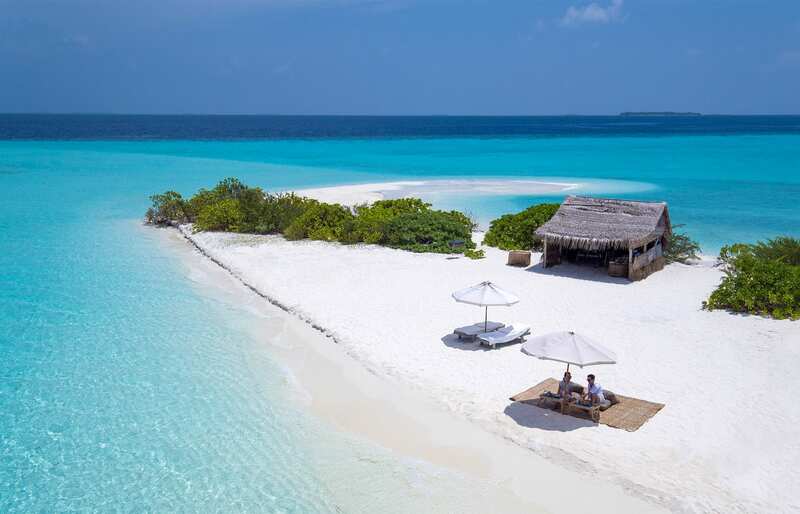 Having visited the Maldives a few times now we are partial to the opinion that any other beach holiday experience pales in comparison. 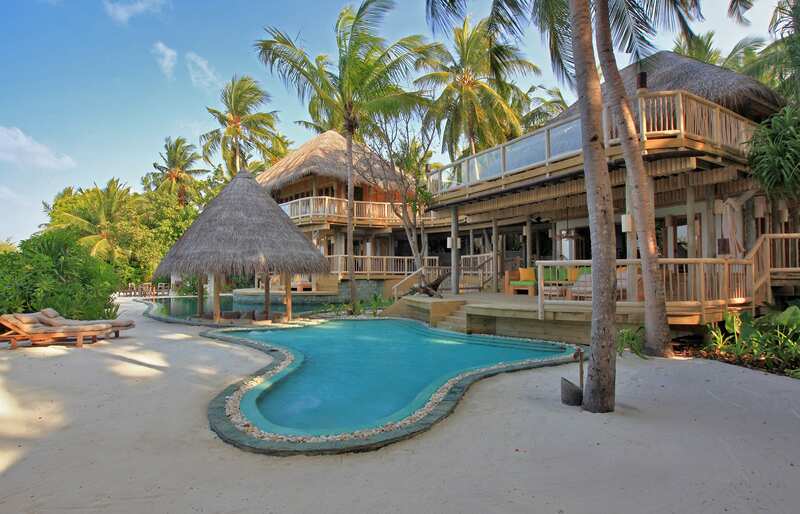 This time the first resort we stayed at was Soneva Fushi, the place that basically invented “castaway chic”. We couldn’t ask for a better place to welcome us back to our favourite island destination. 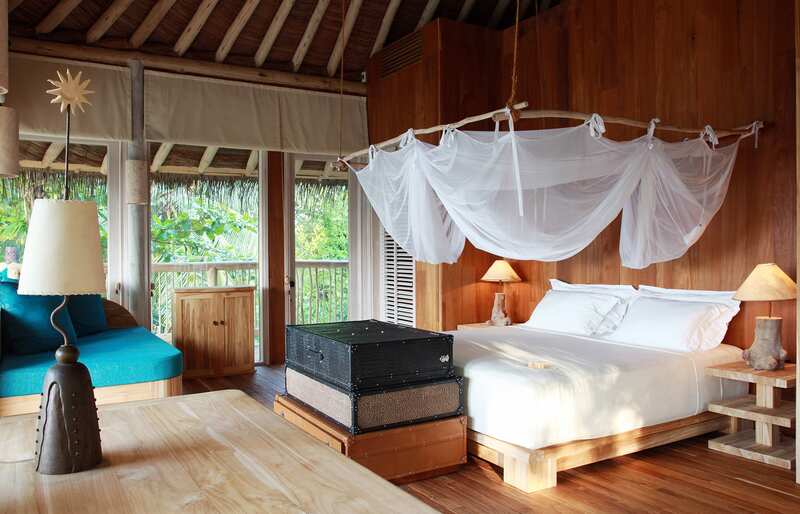 The Soneva experience begins even before arriving at the resort. 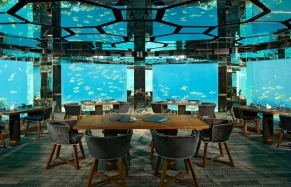 As we landed at Male, the courteous Soneva representatives greeted us at the airport and ushered swiftly to the tranquil lounge, designed in the brand’s hallmark eco style. There we were checked-in and offered drinks and snacks, on which we munched while waiting for the seaplane. The highlights of the seaplane journey that followed included some fantastic ocean views… and the final arrival at the Soneva Fushi International Airport. Which, as far as the “International” airports go, must be the cutest of them all. It’s just a small wooden platform offshore from the resort. As we switched crafts for a short boat ride to the jetty we were presented with welcome drinks in the way of two coconuts, and our shoes were confiscated, in compliance with the “no news no shoes” policy. Needless to say, all the above put us right in the holiday mood. 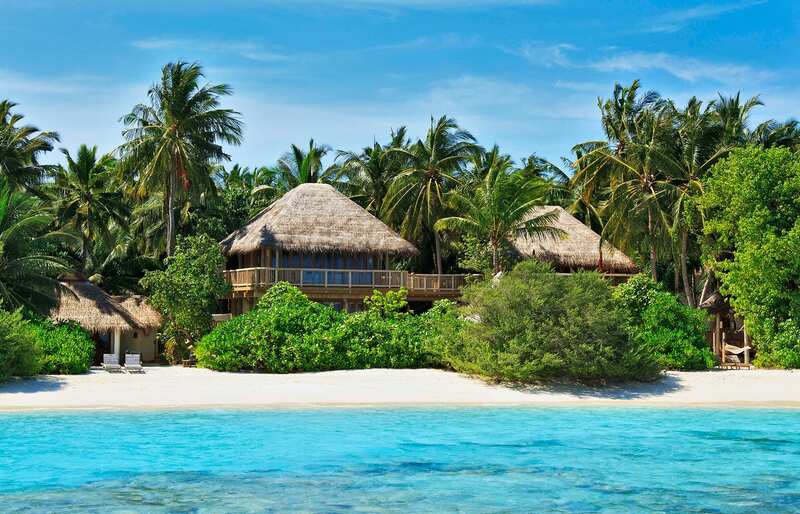 Soneva Fushi is one of the original luxury resorts in the Maldives so given its age, you would be excused expecting that the villas should come across as dated. But they are nothing of the kind. 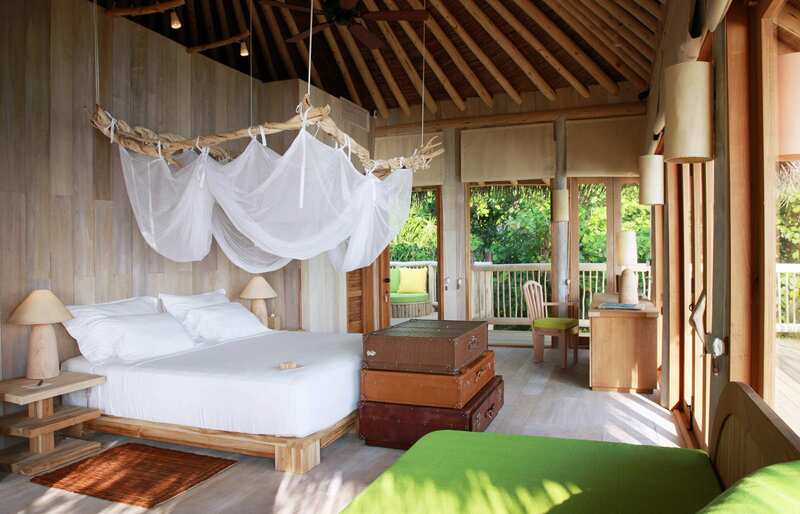 The “Robinson Crusoe” feel of the thatched roofs and the organic shapes of the walls have timeless appeal. 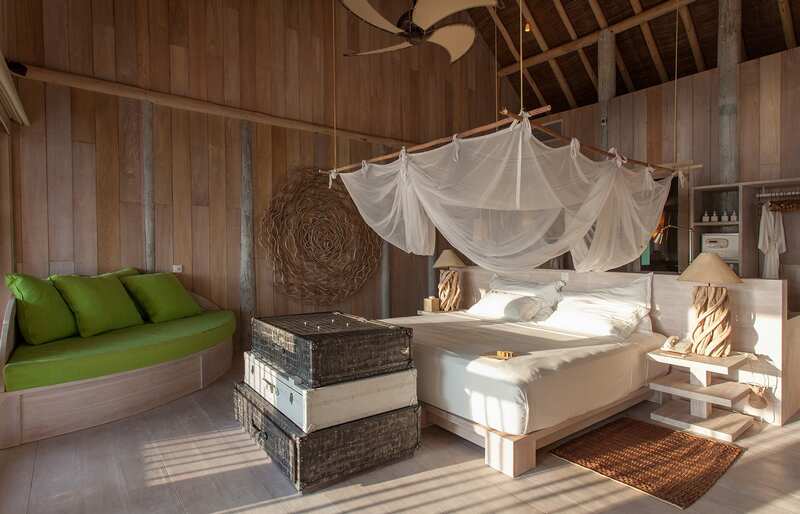 Soneva is a brand of rustic aesthetic and eco-aware philosophy. 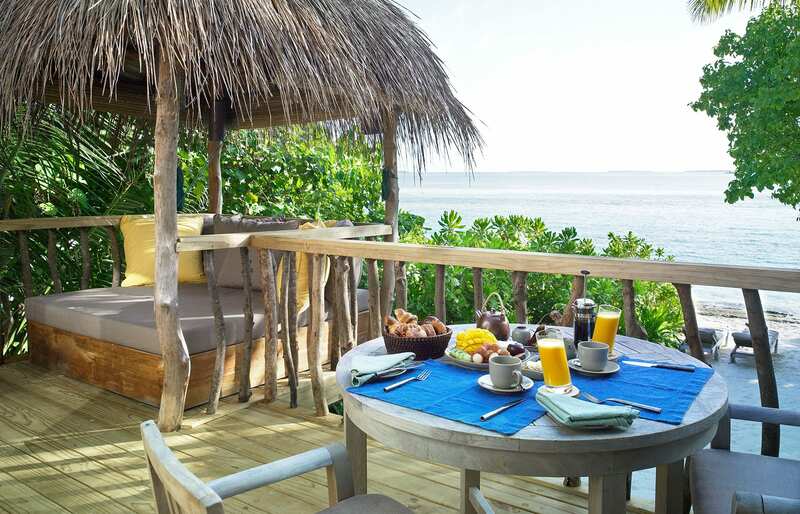 At the Fushi resort, this approach is fine-tuned to match the impossibly blue sea, the wild greenery of the island and the white-sand beach surrounding it. 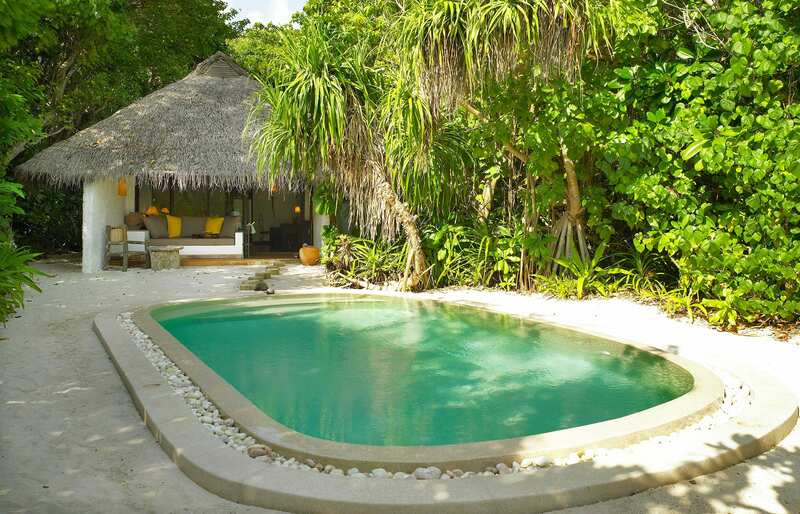 The sixty-or-so villas are tucked away amongst the lush foliage, all with an easy access to the beach, and they feel very private as if each was set up on its own deserted island. The castaway theme extends to other aspects of the resort experience. 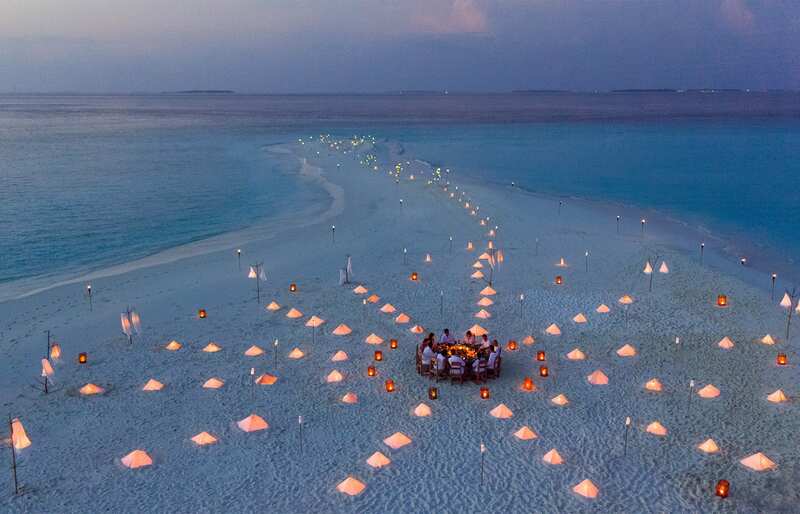 The butlers are called Mr Friday (or Ms Friday), the dress code is casual and low-key and one of the activities on offer is an intimate “desert island picnic”, set up on a tiny private islet… which is as close to the real Robinson Crusoe experience as you’d really want to get to. At other times the resort invokes comparisons to some kind of fairytale. This must be especially true to families with children. The Den, Soneva’s concept children’s club is out of this world (though maybe not as spectacular-looking as what we saw at Soneva Kiri—check out our review). 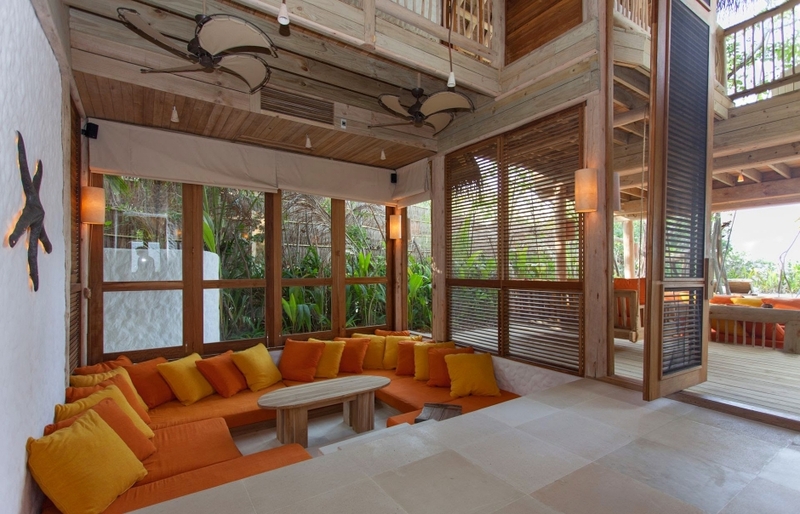 Build in the middle of the island’s jungle, The Den at Fushi is packed with creative ideas, cool surprises and spaces to play and explore. There is even a “pirate ship”. Plus, there are bunnies on the island, just casually hopping around. Pinch us… or maybe don’t. From this dream, we don’t want to wake up. Of course, the entire island and the surrounding sea is a playground, and we had our own favourite things. One example is the reef. We only snorkelled, but this was enough to give us an idea of the beauty and richness of the sea around the island. 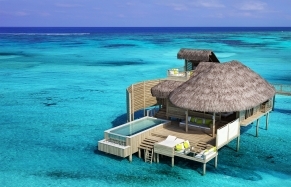 Returning to the surface, a new addition to the Soneva Resorts family is Soneva In Aqua. Rather that, essentially, just a sailing boat, it actually is more like a floating villa, merging the resort-level amenities and service with a private yacht experience. 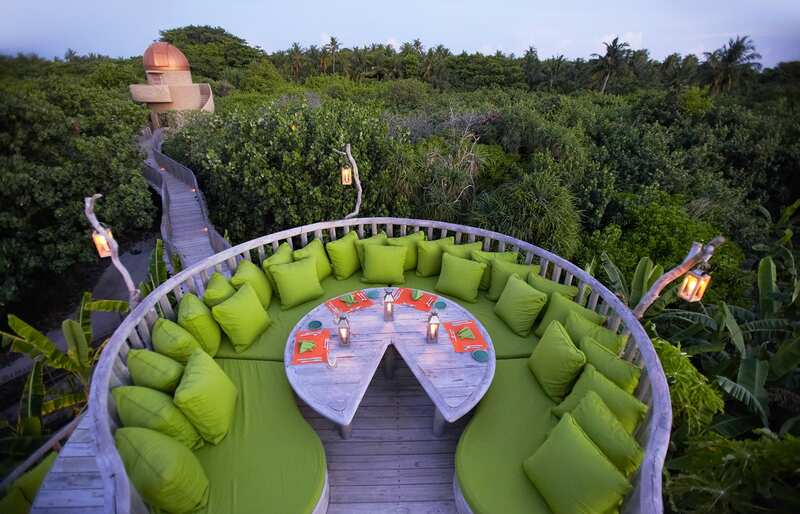 The food at Soneva Fushi deserves a special mention. Breakfasts are heavenly, dinners the best we had since we don’t know when, and the free chocolate & ice cream parlour had us as frequent customers. Another hangout we couldn’t get tired of was the overwater bar, which features a string of hammocks suspended over the waves. It’s absolutely perfect for a sundowner. However, the most appealing aspect of the resort experience has to be the honed-to-perfection approach of the staff. 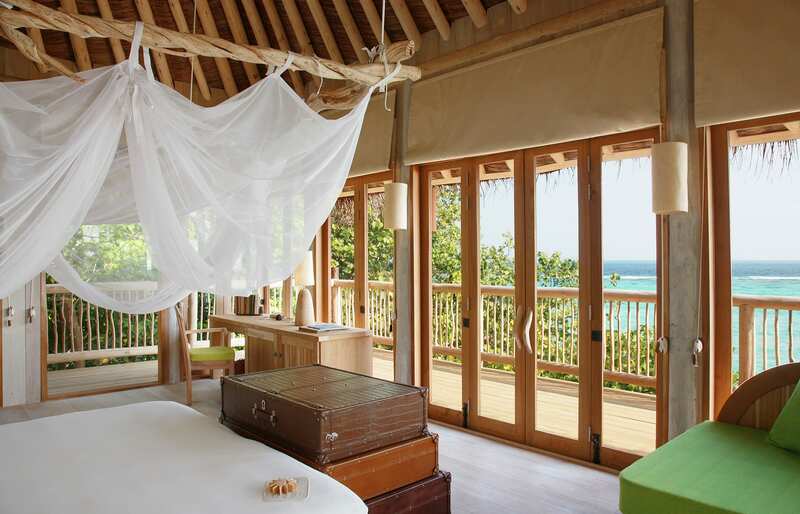 The Soneva Fushi is in its own league when comes to the level of service, and the atmosphere this creates. Guests here enjoy a very special sense of luxury, making them feel more like a member of the family. We could go on but in the end… what else can we say? 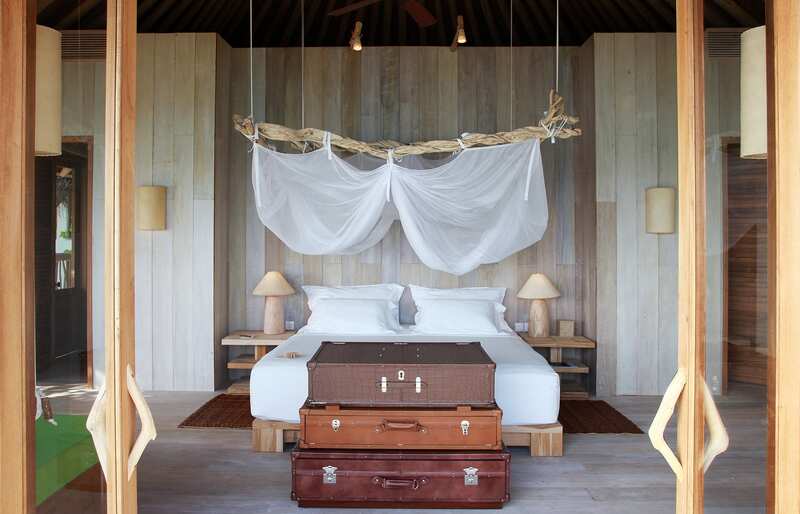 Soneva Fushi is simply the barefoot luxury at its best. 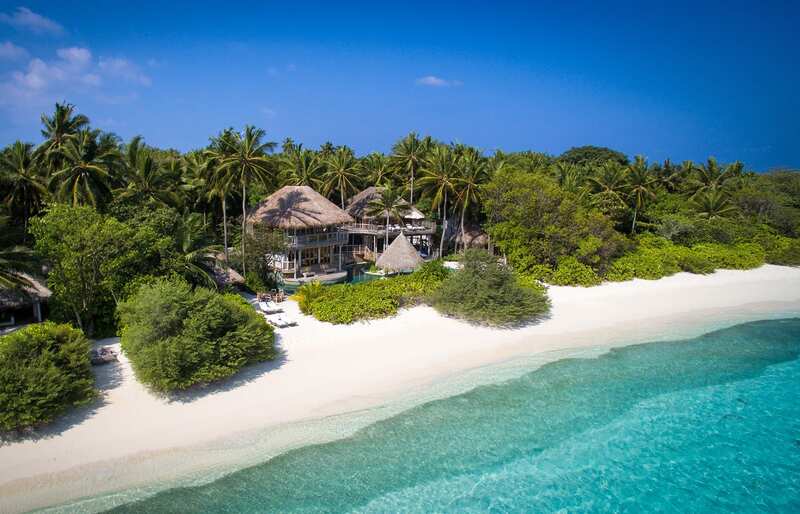 During this trip, we visited several resorts and had a fantastic time at all of them, but perhaps none serves as idyllic island holiday experience as Soneva Fushi. It'll remain one of our favourite places in the world and it well deserves the Editor's Pick. The “no news, no shoes” policy, which put us in the casual mood from the first moments. The wonderful blend of eco-sensitivity and fine luxury. 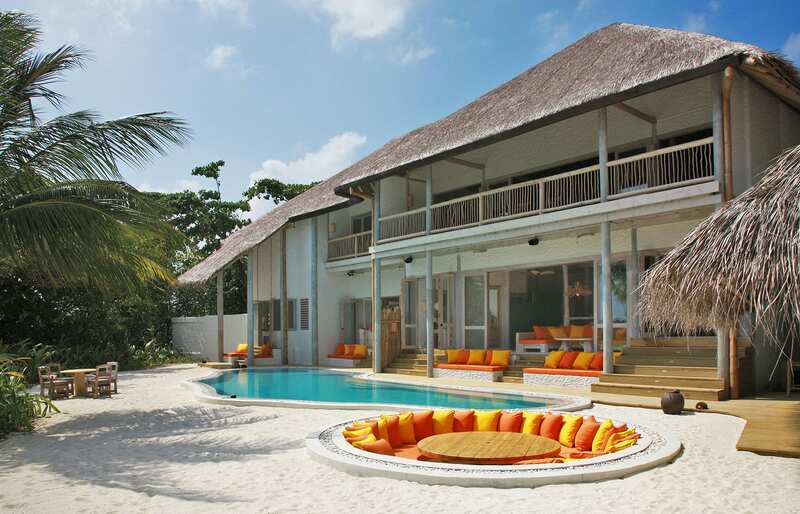 The timeless design of the thatched-roof villas. All guest accommodation benefits from direct access to the white sand beach. Excellent food—one of the best we had in the Maldives. Plus, we loved the free ice cream parlour, and the chocolate room! The reef around the island offers some of the world’s best diving and snorkelling (after all it's located in the UNESCO World Biosphere Reserve). Of course, the resort has a certified dive centre. 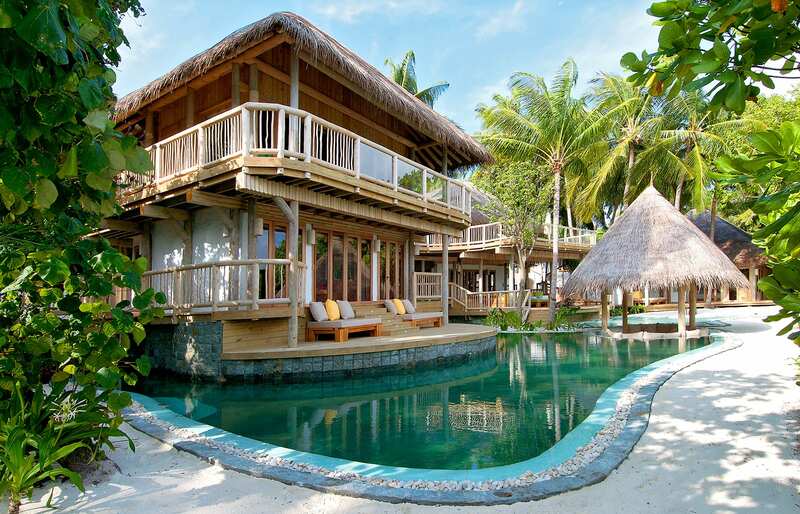 It's one of the largest islands in the Maldives, so Fushi is fairly well spread out, and both the villas and common areas feel intimate. 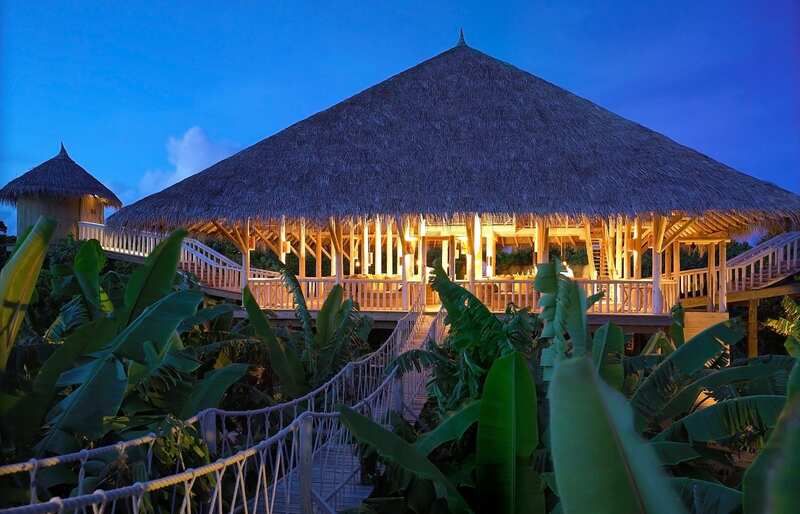 Bar(a)bara: its a great sunset hangout in the form of the overwater bar. We loved the nets-with-pillows hung above the waves. 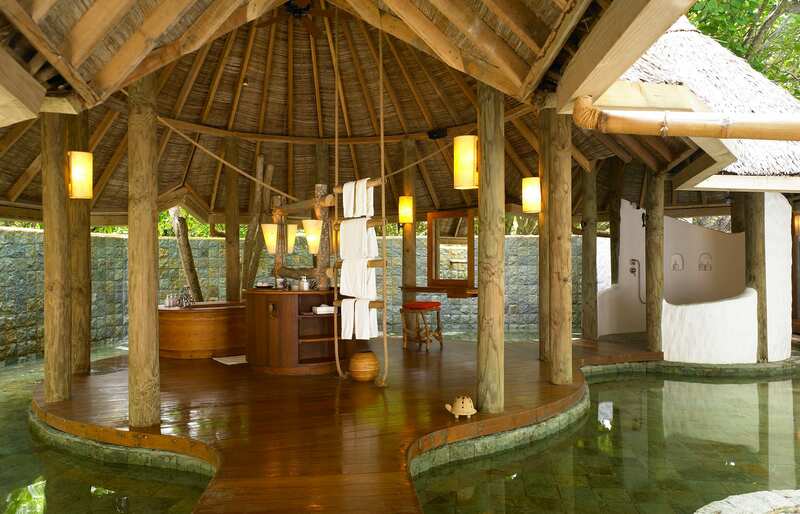 Spectacular spa, operated by the Six Senses Spas, which we adore. Each villa comes with bikes, and cycling around the island (which is not small) was one of our fave activities. The Den. It's a children's club packed with the coolest ideas, like the piano floor that plays tunes when you walk, or the triple door for the big, the middle and the small people! 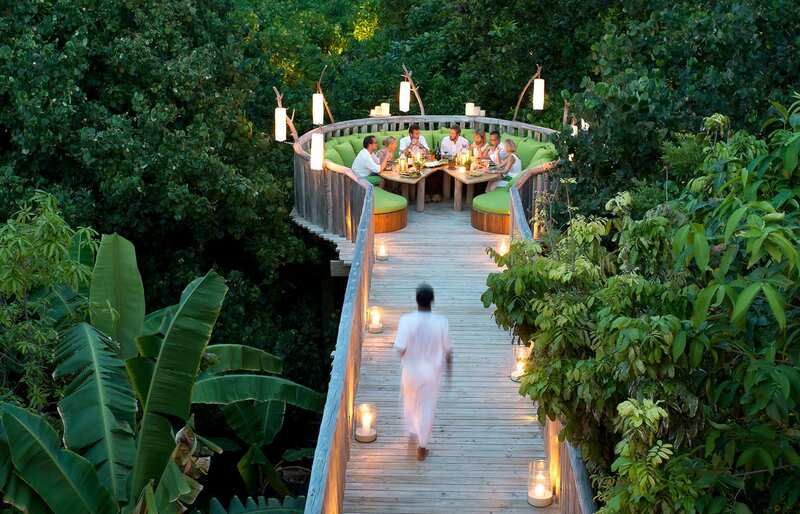 Like at other Soneva resorts, the Fushi has the al-fresco Cinema Paradiso, where classic movies are screened under the stars (to the complimentary ice cream and popcorn). 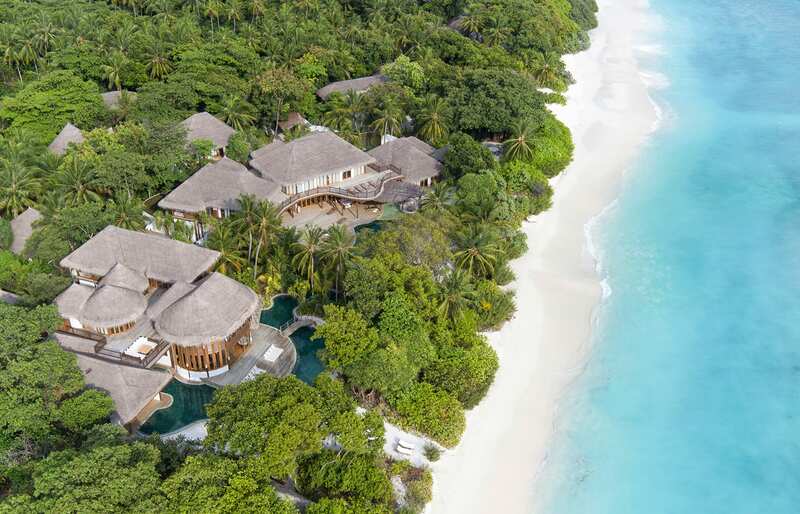 True to the Soneva's commitment to the preservation of the local nature, the resort offers beach villas only (building over-water always results in damage to the coral reefs). 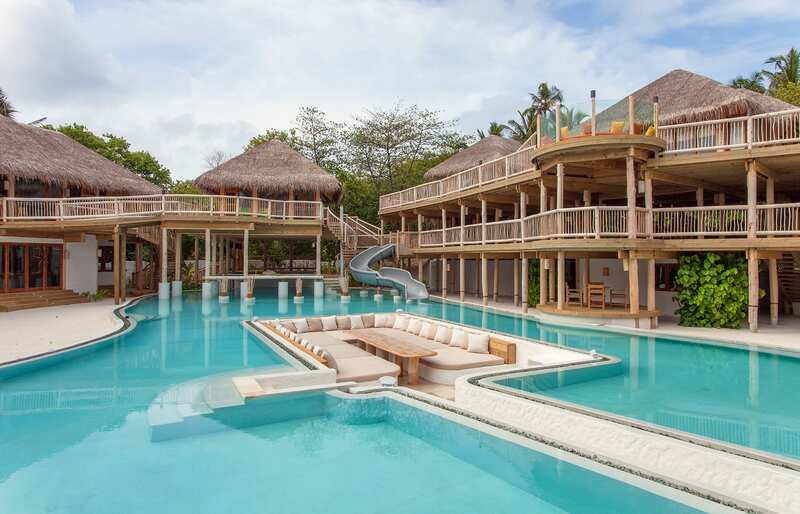 There is no villas-on-stilts, but there is the Soneva-in-Aqua. With the design inspired by the Chinese junk boats, from the outside this is not the prettiest vessel as far as the yachts go but just wait until you board. The unique shape becomes an obvious advantage inside, as the cabins are shaped into incredibly comfortable and spacious rooms. This is not a place if your idea of luxury involves glittering gold, red carpets and white-glove waiters. 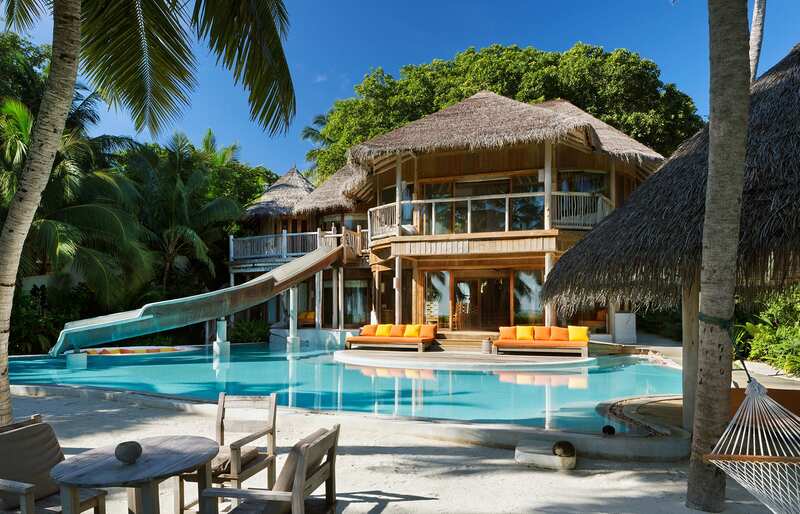 Soneva Fushi epitomises barefoot luxury with a laid-back vibe, encompassed in the philosophy called "SLOW LIFE", which stands for Sustainable Local Organic Wellness Learning Inspiring Fun Experiences. The idyllic Robinson Crusoe style is somewhat spoiled by close proximity to another island to the west side, with a “normal” urban build-up of industrial buildings and transmitter masts. Ask for a villa on the other side if you think this could be a bother. If you are a member of the Tablet Plus programme you can count on some pretty nice freebies: Complimentary upgrade upon hotel check-in (if available), a bottle of champagne, as well as 10% discount on food and beverages and on spa treatments.